Simon Reis walked across the already muddy ground carefully. The stink of battle already hung in the air from the earlier skirmishes, but he knew this was all coming to a head soon. He carefully picked his way through the camp, keeping his head down and covered, his leather cloak and hood keeping his face from being seen but still giving him the authority to not be stopped. His cloak, the day to day wear of a ForgeMaster of Amder meant he was not to be bothered. He was glad for the large hood however, he didn’t want the soldiers to see his face. Simon wasn’t just a ForgeMaster, he was the recognized chosen Maker of Amder. The living Avatar of Amder made flesh so to speak. He could feel the god in his head, even now. Amder didn’t always make sense to Simon, but he was a God after all. Simon had always thought of it as being a noisy room, and only if someone starts to talk directly to you do you pay attention. Simon continued through the camp, heading towards the prime forge. The Tavalian army being the seat of Amder always traveled with a nearly full foundry. Thanks to the ForgeMasters it was a marvel of engineering. Collapsible, and easy to store, but yet full featured enough that with enough raw materials, they could pretty much guarantee that they could make anything the army needed. As a result the Tavalian army was considered one of the most well equipped and well armored military forces the world had ever seen. Simon finally reached the foundry, his boots muddy and stinking of the accumulated debris of horse, man, and blood. The guards at the foundry passed to let him in, as he passed by and headed towards the command tent. General Ashton stood arguing with Gerald DelFarn, High Priest of Amder. Simon grimaced upon seeing DelFarn. The ForgeMasters had always been at odds with Amders priesthood to varying degrees. DelFarn was simply the most recent High Priest who felt that the ForgeMasters should be part of and subservient to the Priesthood. The Priests had always chaffed at the powers that Amder gave his ForgeMasters. The ability to forge weapons that never needed sharpening, to make items that never seemed to tarnish, to make new and wondrous machines. The Priesthood in contrast could fix things, by virtue of the Heart. The gem, known only as the Heart of Amder had been part of the Priesthood for as long as anyone knew. The legend of the gem stated that in the very distant past Amder only had the ForgeMasters. 8 men and women, dedicated to him and the forge. One would be the chosen Maker of Amder, and have the secrets of Amder entrusted to him. But as the worship of the Forge God spread throughout Taval, the ForgeMasters had no desire to run churches and the like. They beseeched Amder to create a Priesthood, separate but equal from the ForgeMasters to run his church. Amder agreed, and created the Heart himself, out of his own blood, to give the Priests a source of Power. And Simon thought with a grimace, setup a power struggle that has lasted for over a thousand years. General Ashton noticed him first and raised a fist in salute. Simon liked Ashton. He was a solid military man, and appreciated the edge the ForgeMasters gave his army. He also unlike other officers Simon had worked with didn’t come up with unreasonable demands for the Foundry. “Hail Chosen!” General Ashton said with a grin. Simon glanced at DelFarn, rewarded with a tiny glower that flitted across DelFarn’s face. Simon knew that General Ashton has done it on purpose, yet another reason to like him. “General Ashton, High Priest DelFarn.” Simon replied, giving each a small bow as he approached them. “ForgeMaster Reis.” DelFarn replied, purposefully not mentioning his status as Chosen. Simon let it go, knowing DelFarn had only done so strictly to get under his skin. “Looks like the main force of the Chalzik Horde will be here today, and we can end this in one fell strike.” General Ashton said “The scouts report a large force to be sure, but as they are coming out of the Eastern Scrublands, they will hopefully be a less than fully rested and fed force.” Simon nodded, the Horde had crossed the scrublands after rampaging through two of the Eastern kingdoms and utterly running them. Driven by their bloodthirsty God, Valzinj, the horde, while not a proper army, were a large and unruly force. But now they came against the Skyreach and the Tavalian army. The Skyreach Mountains, rising high into the air behind Simon were the Eastern border of Taval, and one of the largest and most diverse mineral and metal mining areas in the known world. It was the primary reason Amder based his worship here in Taval. “The ForgeMaster and his associates I’m sure will be ready for their part in the fight.” DelFarn added, with a tight smile. “The Priesthood of Amder will stand ready to heal, and bless those who fall in Amders name.” Simon resisted the urge to sigh. He was sure the Priesthood would of course, but he knew DelFarn would not. He wished Amder paid more attention to the Priesthood, but their leadership was strictly a political one, which is why he got saddled with dealing with people like DelFarn. For his part he was sure DelFarn thought of the ForgeMasters and him the Chosen as usurpers to the power of the Priesthood, and fools for how they used their gifts from Amder. The ForgeMasters, all ten of them, were granted a tiny portion of Amders power. They used that power in service to not only the crown of Taval, but the common people of Taval. They freely made items as they were needed for the common folk, with no charge. A ForgeMaster made item may last for years, even generations with no sign of any wear. Oh to be sure, sometimes ForgeMaster made items did break, usually when taken to far from Taval. But the ForgeMasters wanted it that way. It kept them safe in Taval, and kept Taval strong, and protected. “Yes, we will ALL do our parts” Simon said, with a bland smile. “Do you need anything from the Foundry for today’s battle General Ashton?” he continued, pointedly ignoring DelFarn’s attempt to make another comment. “The ForgeMasters stand ready to provide anything you need.” General Ashton, sensing that the sooner this meeting ended the better, not wanting to get in-between the two factions of Amder worship, provided Simon with a list of some additional weaponry and catapult changes. “Very good General, this will be ready in under two hours.” Simon replied, and turned on his heal and left. General Ashton turned to DelFarn and watched as DelFarn started after Simon Reis. “He’s a good man DelFarn, I don’t understand why you fight like this.” General Ashton said as he went back to his maps. “A man? Maybe. Good? Maybe.” DelFarn replied, with a right smile and slight bow, DelFarn took his leave of the General and went to make his own preparations for the coming battle. Simon felt the horde before he saw them, the very ground shook with their steps. Simon wasn’t sure if it was part of being the Chosen of Amder or just that there were so MANY of the horde. They darkened the land, swarming towards the Tavalian lines like suicidal ants. Simon and the other ForgeMasters had completed the work General Ashton had asked them to only 20 minutes before, and had been pacing, waiting for the coming fight. While ForgeMasters didn’t normally get involved in the thick of battle, each was armed with their hammers. A ForgeMaster upon being raised was gifted the insight to make his or her own Hammer of Amder. Magical items, they were both Forge Hammers and weapons. They would resize to whatever was needed when creating, but in the case of battle, they became large two handed hammers, each with its own look, based on the desire of the creator on the hammer. Simons hammer was worked into the bearded face of Amder in a silvery metal. He had rarely used it to fight with, but he knew today he would probably have to. Simon surveyed the rapidly approaching horde, by Amders brass ones, there were a lot of them. He steadied himself, he was the Chosen of Amder, with the well trained and best equipped army in the world. A Horde of Eastern blood lusting ragtag fighters and bezerkers were no match for the Tavalian army, though while surveying the roiling mass of enemy fighters, he wasn’t totally sure that he was correct. Simon noticed the change in the air before the silence fell across the battlefield. Anticipation seemed to fill the space between the two armies, one a carefully laid out force, gleaming steel and iron, discipline and confidence given form. The other, a mass of ragtag fighters, armed with any random assortment of equipment, some clean, some not. Though he could not see their faces from this distance, Simon pictured them as crazed zealots, their prayers to their Blood lusting God being the wholesale pillaging and destruction of everything and everyone who stood in their way. With no word or sound, the Horde surged forward, again reminding Simon of nothing more than a carpet of ants, eating everything in their path. If the Tavalians did not stop them here, the horde could go through all of Western Dorus. The stand had to be here and now. The mountains would help funnel the horde into the Tavalian army, they just had to stand and kill. The clash of the two forces was near deafening. Simon was used to the sound of metal on metal, but this dwarfed the sound of the forge. Add the screaming and howling of the attackers and defenders, the moans of pain and death, and the noise was almost unbearable. Simon stood and watched the battle from the Foundry site for now. He could see General Ashton watching the battle from the command pavilion, shouting orders and sending pages running to each brigade. High Priest DelFarn stood next to General Ashton, looking somewhat surprised and pale for once. Simon shook his head with derision, DelFarn had probably expected this to be a simple fight. Truthfully Simon was somewhat surprised at the size of the Horde that had made it through the scrublands. But it didn’t matter, they had to stand here. Hours passed, and Simon and the other ForgeMasters watched. Slowly but surely, the tide was turning towards the Tavalian force. The Horde had the numbers, but the Tavalians better equipment, and far better strategy was slowly forcing the Horde into the main body of the Tavalian army, where they were being wiped out. Simon was starting to relax somewhat, though he knew that he and the other ForgeMasters would be busy after the fight reforging weapons and fixing damaged catapults and other gear. Simon had just about decided to stand down, when the roar came. Rage incarnate. That was all Simon could think when he heard it. Raw unbridled rage and destruction. Simon turned to the battlefield once more and went pale. Behind the Horde, stood a blood red scaled figure. Valzinj, the God of Bloodlust and Rage, had come to the battlefield personally. Simon knew instantly, that this was not supposed to happen. The Gods did not interact personally with the world, it was forbidden. But there stood Valzinj, regardless of whatever rules were supposed to deny it. The Horde surged forth, renewed in their rage. The Tavalians stunned at the sight of an actual God on the battle field quickly fell back, you could feel the panic start to surge through the Army. Simon looked at the command tent, General Ashton stood pale faced, and unsure. High Priest DelFarn was nowhere to be seen, Simon wondered if he had simply fled. Simon Reis, ForgeMaster and Chosen of Amder, was at a loss of what to do himself. But at that moment, instructions from Amder filled his head. Simon went down to both knees, both wonder and despair filled him. He knew that that moment his life was gone. But if Amder’s plan worked, Taval and the rest of the world might still know peace. He despaired of never seeing his family again, but if the Horde got through, they wouldn’t have a life themselves. Quickly Simon turned to the assembled ForgeMasters and explained Amders plan. Their eyes widened but they as one nodded their agreement. Simon steeled himself, he imaged this was going to hurt, a lot. Simon stripped down, but for his hammer, he walked towards the main reservoir of molten metal and stood in front of it, looking into its red roiling depths. With a deep sigh, he nodded to the assembled ForgeMasters and one at a time, they threw their hammers into the pool. Each hammer seemed to alight in the pool and melt slowly. The metal changed colors with each hammer, getting progressively lighter, from a deep angry red, to by the last hammer other than Simons, had progressed to a bright silver, with gold and copper highlights. Simon turned to each ForgeMaster, and nodded, as one by one they touched his hammer, and collapsed. The Hammer glowed with each transfer, removing the spark of power that Amder had given each ForgeMaster. Finally Simon Reis, ForgeMaster and Chosen of Amder turned to the now glowing white pool of metal and stepped on to it. He did no sink, he did not burn. The metal flowed over him, and he grew. He grew in size, and shape until, Simon Reis was no more. All that stood there now, was the Avatar of Amder, God of the Forge. Twenty feet high, glowing metal and holding a large Glowing Hammer, the form of Amder stood, looking across the already blood-soaked valley. Valnijz looked back, scaled, reptilian spirit, but upright as a man. Neither form spoke, but those who survived that day swore that some communication passed between the two forms, some way of talking that only the Gods could know of. A scream rent the air as the Blood God leaped forward, only to be met with a blow from the Hammer that Amder carried. The two titans joined battle as their followers ran. Not even the Horde in its lust for blood and battle dared to stay where the Gods themselves fought. Valzinj leaping and clawing at Amders metal form, his red scaled skin glinting in the afternoon sun. And giant metal Amder, swinging his hammer, each blow shaking the very earth if he missed, or a bruising scale breaking hit when it connected. Amders form was not without damage either, the claws of Valnijz scraping long furrows in a metal form that would normally be impervious to harm. The fight went on for hours, with a handful of mortals on each side watching. The Blood Chiefs of the Horde on one side, and General Ashton and High Prelist DelFarn on the other. Finally the two forms parted and started at each other. 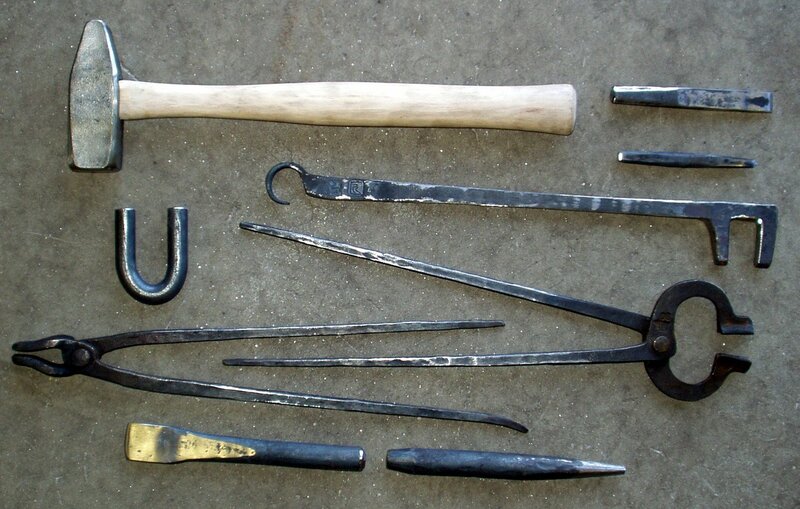 Amders form was more scratches and gouges than metal, and occasionally liquid metal would flow from a crack. Where it touched ground, a slivery crystal would sprout, glowing with its own inner light. Valzinj was bleeding from half a dozen wounds now, and where his blood fell, a red mist erupted, and corrupting everything it touched to crave blood. Without a sound the two Gods rushed at one another, Valzinj claws finally piercing the Chest of Amder, and Amders hammer finally bursting the head of Valzinj. Both forms fell to the ground with an earth shaking thud, and slowly began to dissolve, filling the surrounding earth with a mix of pure silver crystals and a noxious red mist. And so, at the Battle of Skyreach did fall the ForgeMasters and Chosen of Amder, leaving only the Priesthood behind. A taste of what’s coming…. I actually wrote this quite a while ago, over a year ago. Originally to help me get into the ‘world’ I was creating. I’ve cleaned it up some, and have decided to make it the start of the new book.